Lesson contents are tailor-made based on your needs and requirements. 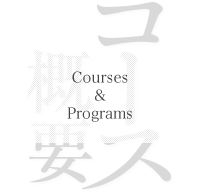 For example, you may focus on kanji learning, Japanese business conversation, preparing for exams, etc. Textbooks and other materials are selected best suited to the client’s needs.